A trip to San Antonio just isn’t complete without a stroll along the Riverwalk or tour of the Alamo- and let’s not forget the need for some great Tex-Mex food! I knew these were a few stops my family would make when my son graduated from Basic Military Training at Lackland Air Force Base earlier this summer. What I didn’t count on was how much fun a trip to SeaWorld San Antonio would be! 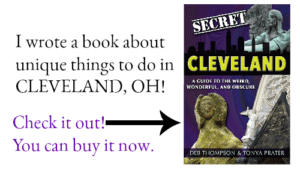 My husband and I had purchased a family membership to SeaWorld when there was an Ohio location. But that closed years ago, and honestly, I remember being absolutely worn out after a full day visiting the park with three young children in tow. I just wasn’t sure I’d have the energy for SeaWorld, on what was an emotional trip to San Antonio. Plus, I certainly didn’t want to pay $70 a ticket for my family of five to leave the park exhausted and grouchy. Then, I heard about Waves of Honor, a program that gives back to those serving in the US Military by offering complimentary admission to specific SeaWorld parks throughout the country. 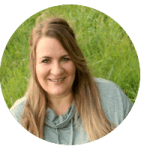 Not only would my son receive free admission, but he could also request complimentary tickets for me, my husband and his siblings (up to three additional tickets total), since he is unmarried and lives at home. We could also purchase tickets through the Waves of Honor program at up to 30% off for anyone not eligible for complimentary tickets. 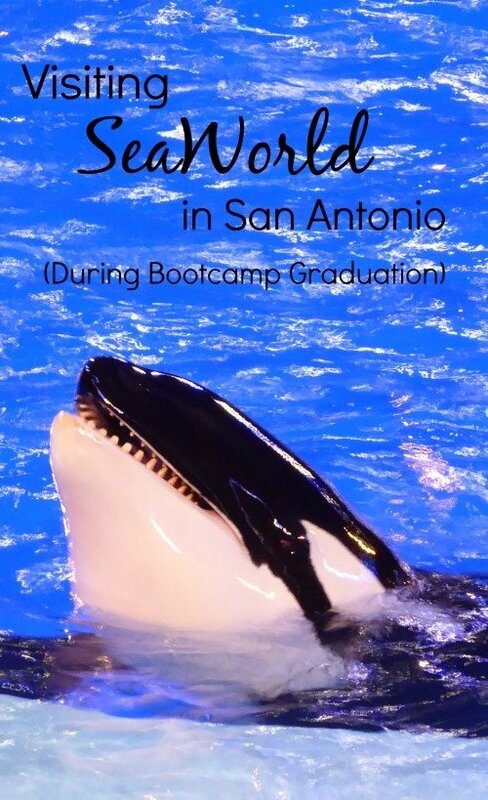 You can learn more about the SeaWorld San Antonio Waves of Honor Military Discount 30% Off Single Day Ticket here. That sounds pretty awesome, but when you have a child or loved one graduating from boot camp, there is an even bigger perk. Those Airmen and women, get an extended leave from Lackland AFB which means they can stay out until 10:30 instead of returning at 8 p.m. Two and a half hours may not sound like a big deal, but after weeks of very little communication with your loved one, those extra two hours are priceless. Even with those perks, we weren’t convinced we would love SeaWorld. We decided to check out other area attractions and visit SeaWorld in the evening. Arriving at SeaWorld, we didn’t know where to begin so we picked up a map and realized we were right on time for Azul, a colorful, action-packed show featuring Pacific white-sided dolphins, birds, synchronized swimmers, acrobats, an aerial artist and a beluga whale! The show impressed us so much, we decided to see another. We had just enough time to reach another show- fun comedy featuring Clyde and Seamore- a pair of sea lions who set out to solve the mystery of disappearing fish at the cannery. Short and entertaining, my family enjoyed this show as well. Not wanting to spoil a good thing, we decided to watch another show- Shamu’s Celebration: Light up the Night. Shamu Theater was on the other side of the park and by the time we stopped for a restroom break and to grab something to drink, it was standing room only for the show. We decided to skip out, ride some rides and arrive early for the later show. We’d passed by some roller coasters on the way to the theater and the kids were eager to ride them. We were in luck, there was a short little wait for the Great White so they couldn’t wait to hop on board. 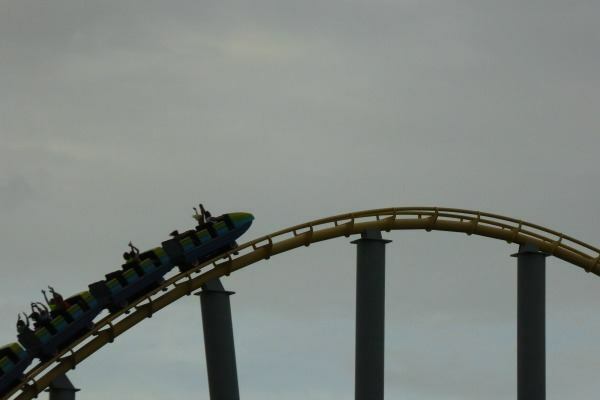 Once upon a time, my husband and I loved roller coasters but I now know better and stay away from loops and corkscrews, of which the Great White has both. We managed to skip the Great White, but the kids smooth-talked us into riding the Steel Eel as a family. It looked safe enough from the ground, so we agreed and grabbed a back seat- which I knew was a mistake. Not wanting to look like a wuss, I checked and double checked my seatbelt as we started off down the track. The screams from our kids indicated they were enjoying the ride while screams from my husband and I meant something else. We prayed we would make it off the ride without dying. Seriously, the roller coaster starts out with a 15 story plunge, followed by three camelbacks where I thought I would toss my cookies. Still, for someone not over 40, it probably really is a great ride. My kids rode and enjoyed it several times. After indulging in treats from Dippin’ Dots, we made our way back to the Shamu Theater to catch a glimpse of the famous orcas. We left SeaWorld in San Antonio without seeing half the park and realized that we should have made a day of it. Don’t make the same mistake we did. If you plan to take advantage of the Waves of Honor offer for complimentary admission, sign up online in advance to save time. The offer is good for four tickets total but discounted tickets are available for additional dependents if they are requested in advance. Your Airman must present their military ID to pick up tickets and to enter the gates. If you’re watching the shows with an Airman in uniform, grab a seat in back, far away from the splash zone. They are not permitted to get their uniform wet. Your Airman should hold on to his/her ticket stub. They may be asked to present it to their MTI when they arrive back on base to prove their whereabouts. If you close down the park, your Airman is not permitted to make any other stops. You must take them directly back to base. Failure to do so may result in punishment and no one wants to hear the word “Recycled”. 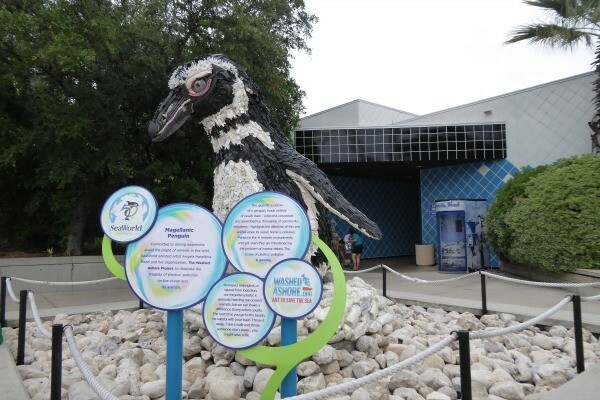 Check out the SeaWorld San Antonio Waves of Honor Veteran Discount 17% Off Fun Card for additional savings inside the park. Depending on where you’re from, the heat may or may not surprise you. Texas is hot and it gets hot standing on the pavement in the middle of the day. Plan to eat lunch or watch shows during the hottest part of the day. Sunscreen is a must! And a hat that shields your face is a good idea too. Wear clothes that dry quickly in the case that you wander into a splash zone. When choosing your clothes- women, you may want to reconsider that white t-shirt. Seriously. Or reconsider that seat in the splash zone. I shouldn’t even need to say this, but from our experience, there are women who do not think about the splash zones when selecting their attire for the day. Arrive at the shows 30 minutes early to get the best seats and to be entertained by the pre-show antics. Stick around after the show to meet the cast members. Pack a few snacks to take inside the park. Sea World permits guests to enter the park with one six-pack sized cooler per family with bottled water and individual snacks. We all like to save money, right? 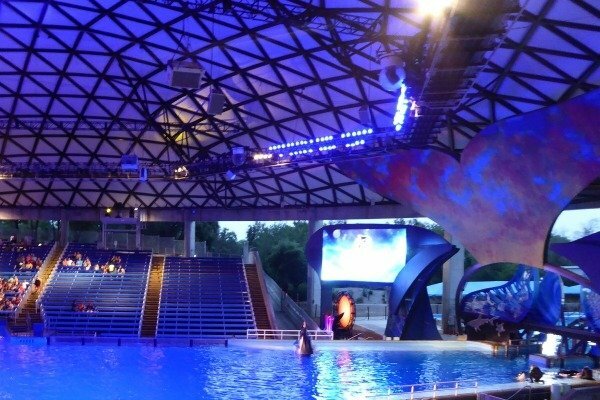 Purchase your SeaWorld San Antonio tickets before you arrive at the gate and save substantially what you would normally pay for a family. If you only have one day, learn from my mistake and arrive early! There is so much to do at SeaWorld, you should have plenty of time to explore. Save up to 55% Off Ripley’s Believe It or Not! San Antonio Attractions Combo Ticket BUY TICKETS ONLINE NOW! This is great information. I didn’t know if this was something that we wanted to do. That extra 2 hours sealed the deal. Doesn’t even matter what we are seeing. Just want to be able to see him. That is exactly how I felt, Teresa! I’m glad that this information was helpful for you. I hope you have a great visit with your Airman. It looks like you had a great time and I am so excited to hear about the graduation! Congrats! SeaWorld is once again using others to promote themselves. These “free” and discounted tickets are a tax write-off for this multi-million $ corporation whose stock has tanked in the wake of public opinion of holding animals captive causing humans to die. Watch the movie Blackfish. Do your own research. There is nothing commendable about using these magnificent animals for profit. What fun! I miss Sea World!! Such a fun and educational place for families to create memories. What an awesome thing they are doing for servicemen! I’ve been once in my life and remember it well! 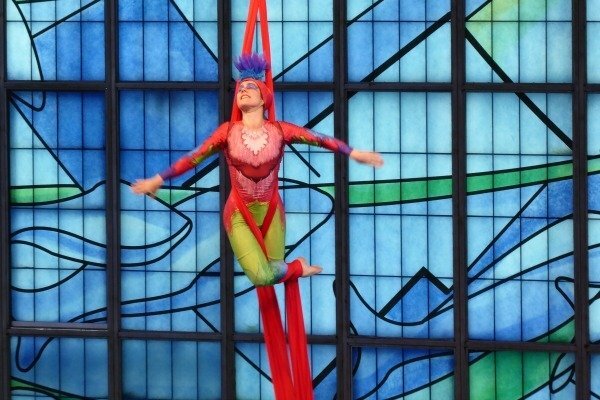 Azul is an AMAZING show — I saw it in San Antonio when it was brand new. So glad you got to enjoy Sea World. 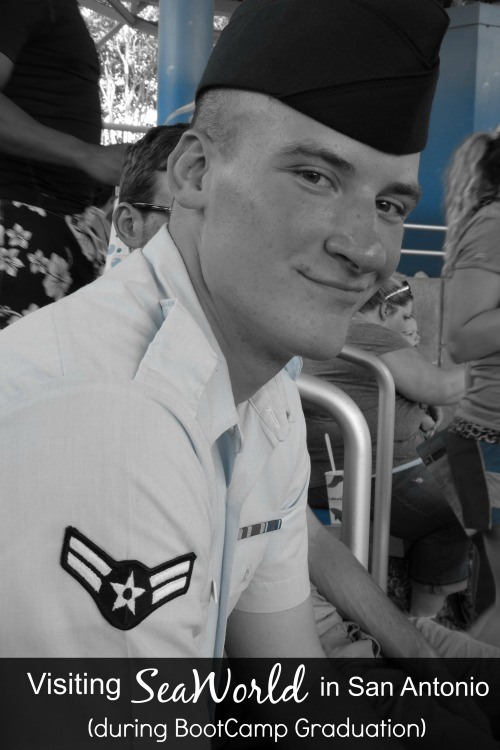 I loved SeaWorld the last time I went, and I’m glad that they give back to our servicemen and women. Thank you for your son’s service to our country! 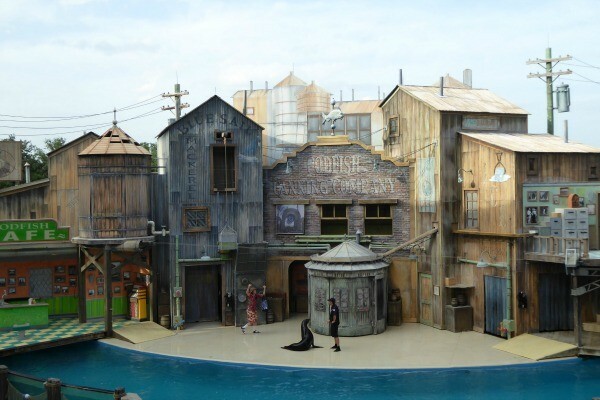 We haven’t been to Sea World San Antonio in a few years, but my kids always enjoyed the Cannery Row Caper when they were younger. That’s wonderful that you found the Waves of Honor program. I”m glad that those serving in the military get complimentary tickets. Extended leave, too! It must have been so wonderful to have everyone in the family together and reconnect. Congrats on graduation! Glad to see they have this program! 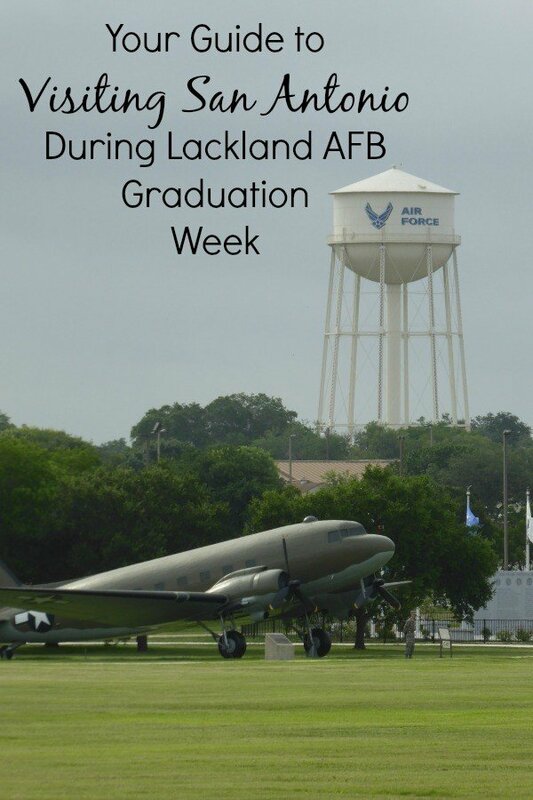 When my daughter was going through BMT graduation at Lackland, I was so wiped out from the heat and the utter exhaustion of everything going on, from the run, the coin ceremony and then the official grad ceremony, that we barely made it to the Alamo! Sounds like you had a great time while you were down there. Congrats to your son, well done! So awesome! I’ve been to the Orlando Sea World and it’s awesome! I’d love to visit this one too! Thanks for sharing! I have only been to Sea World in Orlando. It is always great fun. Congratulations on your son’s graduation! What a precious gift those extra two hours must have been! And what a fantastic visit! Congratulations on your son’s graduation. What a proud mama you must be 🙂 Best wishes to your son! What a nice way to spend time with your son and family. I have been to SeaWorld in San Diego, but it’s been over 10 years ago. I want to visit another one! I remember visiting sea world when I was younger. I really want to take my kids one day. So much fun! I am happy to know they do this. It is always nice to give back in this way. I love what they do for our service members, I had no idea! We haven’t been to Seaworld but it sounds like fun. What a great perk from Sea World. I love that they give back to military families. Looks like a fun time!